Lake views from the balcony. Shaped like a scribbly zigzag, New Zealand’s longest lake dwells in a glacier-hewed, peak-bordered trench in the Southern Alps. Its unique formation creates a seiche, or standing wave, that rises and falls every half hour. 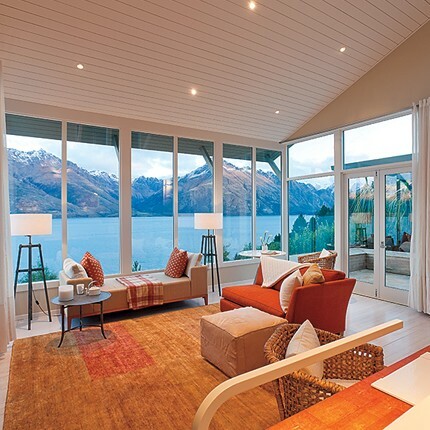 You might recognize the landscape from The Lord of the Rings trilogy, but this South Island destination caters more to outdoor enthusiasts than to hobbits. A revered snow-skiing retreat, the lake also welcomes the swimsuit-clad to its beaches in warmer months, when the local maxim “Come for the winter, stay for the summer” rings true and a bevy of outdoor activities awaits. 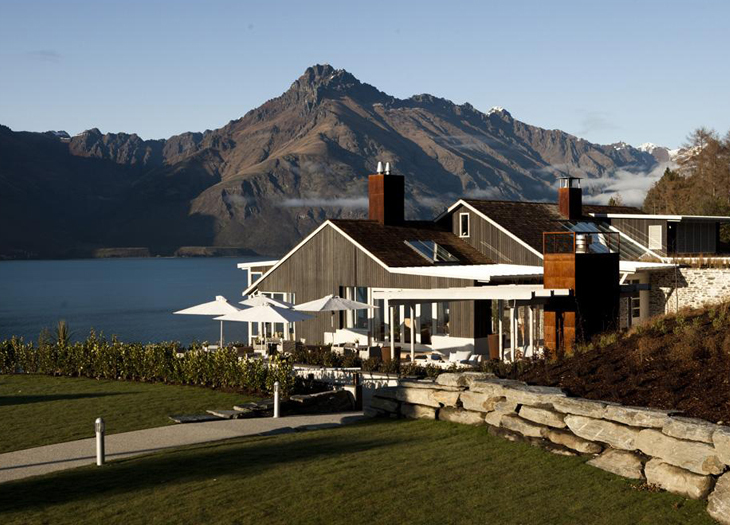 Try parasailing, canyoneering, bungee jumping, and horseback riding around Wakatipu’s rim. Fly-fishing aficionados can cast a line at the mouths of the Lochy and Greenstone Rivers, which teem with trout. According to Maori legend, Wakatipu’s recurring wave is caused by the heartbeat of a monster that slumbers below the water. 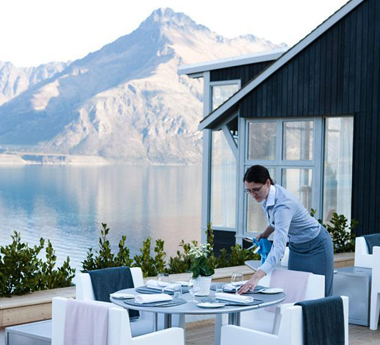 A serene setting for outdoor dining.